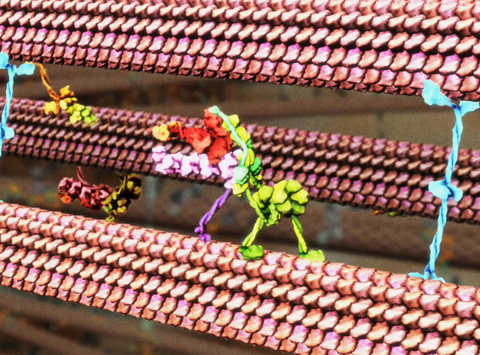 I create biomedical animations that combine cinema and science to reveal the microscopic worlds inside our bodies. My career began in cell biology and microscopy at The University of Melbourne. I have used this knowledge to bring a rigorous scientific approach to every topic, immersing myself in relevant research and current data to ensure the frontier of human discovery is authentically reconstructed. Since 1995, I have worked as a biomedical animator at the institute. My animations have exhibited at the Guggenheim Museum, Museum of Modern Art, the Royal Institute of Great Britain and the University of Geneva. Visit the WEHI.TV gallery to watch some of Drew's animations. Created as a part of our 2015 centenary celebrations, the Illuminarium is a beacon of scientific discovery. Spanning the six-storey facade of our Parkville building, the revolving LED-light installation comes to life at dusk and in the early morning hours with images and data from the frontier of medical research. The Illuminarium reveals to the outside world, what is being discovered inside the institute. 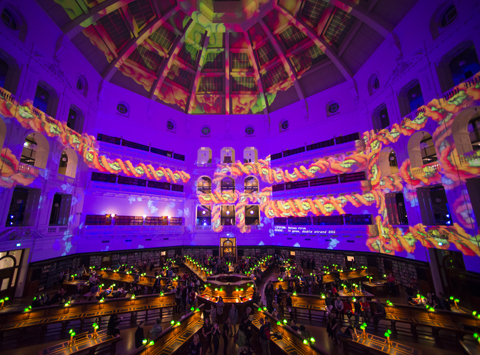 “Data is extraordinarily beautiful and that’s what I essentially wanted to do with the Illuminarium: create a spectacle of science” – Drew Berry.